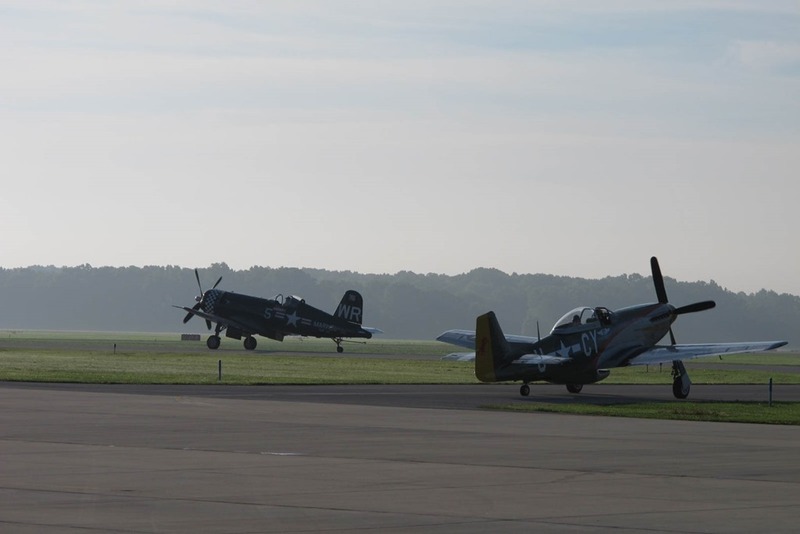 While visiting Elkhart, Indiana, I stumbled upon the annual Warbird Fly-in. What a treat! The conversation ended there … for the time being. I was the first of us three boys to earn a pilot’s license. Dad had a dream of one day earning a pilot’s license, and he did. But, after he achieved that goal, he never did anything with it. It was just one of his dreams from the days of his childhood when he built model airplanes out of balsa wood from scratch. 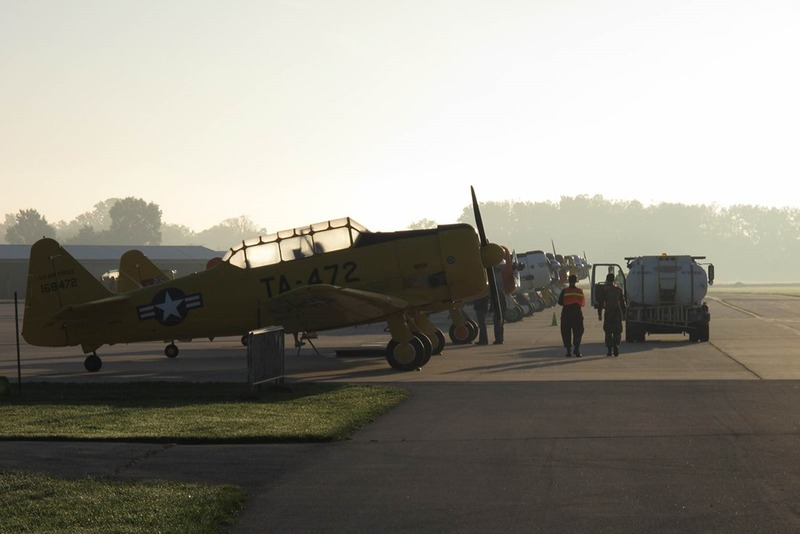 On just one or two occasions, all four of us were able to attend the Experimental Aircraft Association Annual Fly-in at Oshkosh. It was a father and sons getaway. The four of us had something in common—the love of airplanes and flying. Earning my pilot’s license was a joy and a mission. I started flying lessons after I was drafted into the U.S. Army in 1970. I was stationed at Ft. Lewis in Washington state, and they had an Army-sponsored flying club. I started my lessons under the tutelage of an Air Force instructor from next-door McCord Air Base. Flying was cheap. I think the airplane cost $5.75 an hour with fuel, and the instructor was $5. My lessons were interrupted at Ft. Lewis when I received notice and shipping orders to Vietnam. I would have a 30-day leave at home before shipping out. I went home, visited the local airport and continued my flying lessons with a fervor. I had 30 days to take and pass a written exam, receive instruction and fly enough hours to earn my pilot’s license before going off to war. My heart sank when I failed my first written exam. I scheduled another one as quickly as I could, and I passed. Time was running short. With a successful written test results in hand, having met the flight requirements, and clearance from my instructor, I scheduled a flight exam for my license. 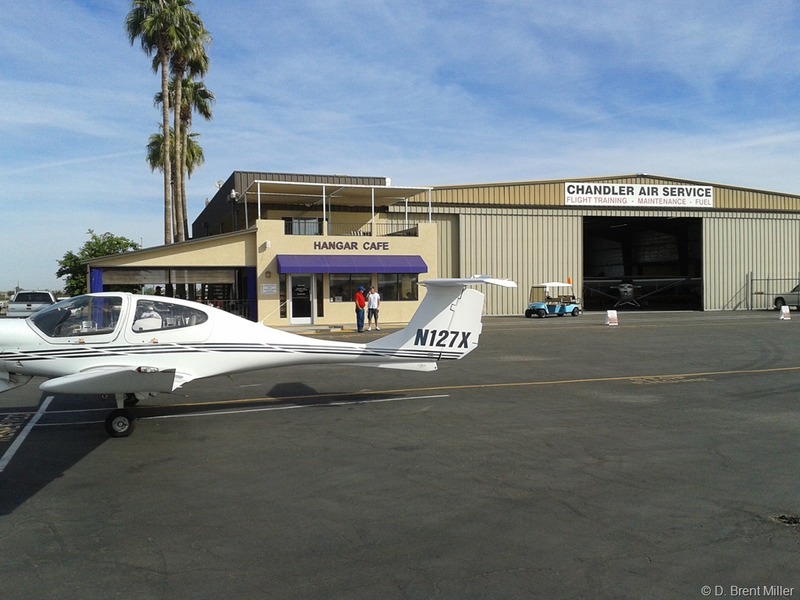 Nervous and with the confidence of a student pilot, I demonstrated to the flight examiner that I understood the FAA regulations, proper flight procedures and knowledge of airspace, and then how to properly and safely fly a single-engine airplane. I passed. It was three days before I was to leave for Vietnam in January, 1971 at the young age of 20 years old. No matter what happened in Vietnam, I had my pilot’s license, and it turned out to be a Godsend. When President Nixon wanted to start bringing the troops home, any good reason was entertained. Since I had demonstrated that I wanted to fly, and possessed a license, I applied for an early out of the Army for education—commercial flight training. The paperwork went in, and before I knew it, I was headed home. After the Army, I went on to earn a commercial pilot’s license for single and multi-engine aircraft and an instrument rating. I also managed to earn a two-year college degree, A.A.S. Commercial Aviation. It was my first earned college degree. It wasn’t the fastest path, but I got it done. I have personally owned two airplanes, a Cessna 150, and of all the aircraft I have flown, my favorite was my second, a 1977 Citabria 7ECA. 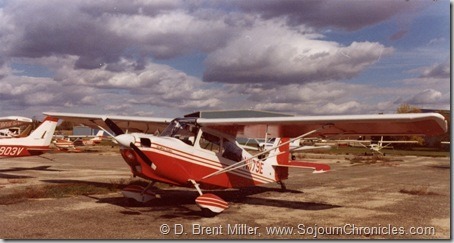 That Citabria was a modern version of basic stick and rudder flying. Fun. Fun. Fun. Did you know that Citabria is airbatic spelled backwards? My love of flying also took me down the path of a business disaster when I bought and lost an aviation business. That was not fun. Flying was a huge part of my life. But as general aviation grew more expensive, the inverse was true of my ability to afford to go flying. It just got too expensive. I pretty much decided that I would never be able to afford or enjoy flying like I did. My last log book entry is dated March 27, 1999. I flew three hours, under the instruction of my brother who had become a flight instructor, in an older Aeronca Champ 7ECA—the forerunner and previous manufacturer of the line of Citabrias. 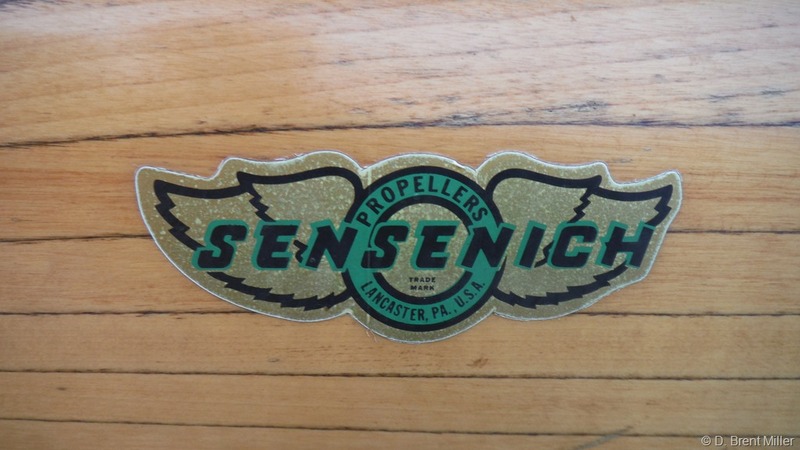 It was an airplane that my brother owned at the time. It almost felt like home. On other rare occasions and visits to my brother, I have gone flying with him, and piloted the Champ or his Cessna 170, but those entries are not in my log book. Whenever I pass a small airfield with a grass strip, I will slow down to look or maybe even stop. Whenever a plane flies overhead, I look up to see where it is headed. What kind is it? I reminisce, and they are all fond memories of what once was a great passion. Jump ahead in time to the other day, the morning after the first conversation. 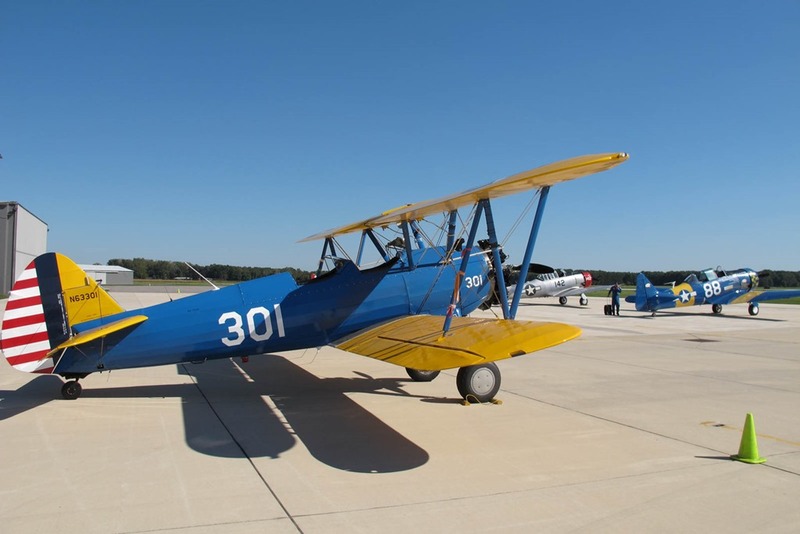 “Brent, let’s go flying.” He didn’t wait for an answer, he just started lifting the hangar door and rolling out the 1946 Aeronca Chief, a two-place airplane with a wood prop and no starter button. It is a recent purchase. You have to hand-prop it to get it started. Brakes set, engine primed, throttle set, he gives the prop a pull. Once. Again. 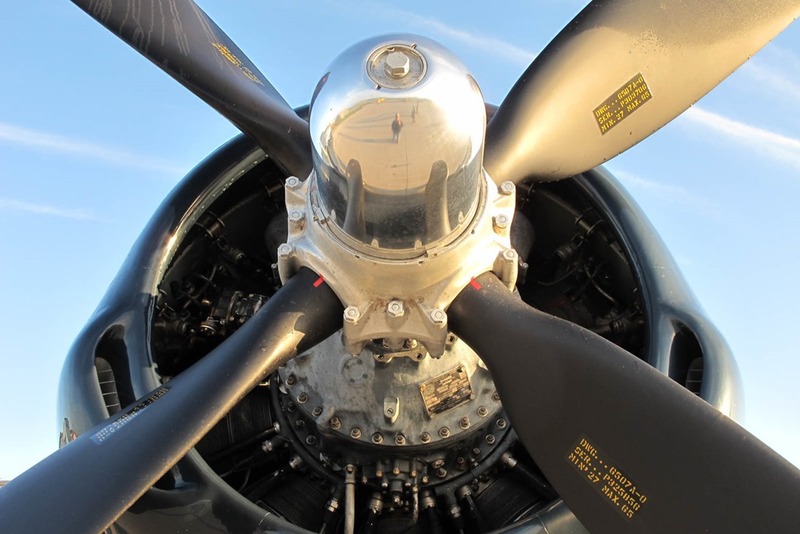 On the third try, the engine fires to life and the propeller is spinning. We climb in, he in the left seat, me in the right. We make an engine run-up to check mags and other gauges, and we roll out onto his private airstrip, a grass runway, accelerating faster and bumping along. The tail comes off the ground as the speed increases, and as if by magic, a bump in the middle of the field launches us into the air, and we are flying. The ground below us starts to sink as we rise higher into the air. The corn fields and soy beans pass under us. Well maintained farms with bright shiny silos can be seen dotting the landscape as the early morning sun glistens off the dew. The farms are laid out in neat little squares bounded by county roads. We are flying, and it is not like anything else you will ever do. No commercial airliner can ever give you the thrill of flight. Instead of feeling like you’re riding in a bus or more like a cattle car, you are part of the environment that reveals the incredible landscape below you. At the right time of day, you can see the shadow of the airplane on the ground racing along, keeping pace. We fly into and around town. We look down on two hot air balloons—a sight you will never see from the ground. “Here is the park we go to often to walk or ride our bikes,” he says. “There is the new hospital. 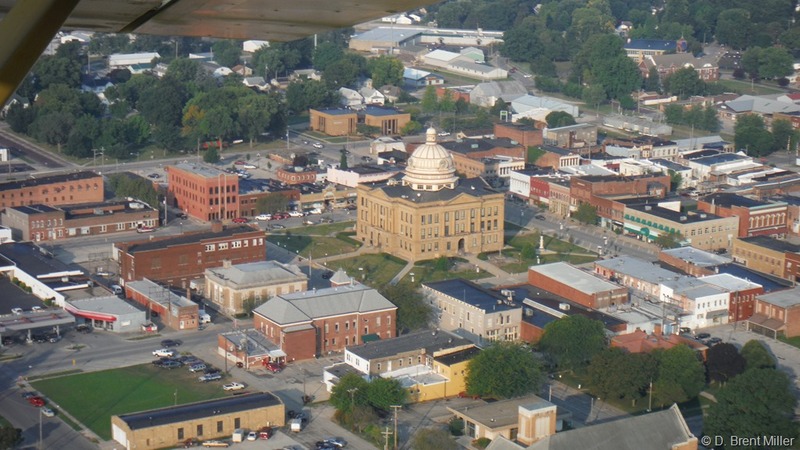 There is the county court house.” We are cruising along at about 55 mph in the air. Cars and trucks are passing us on the ground on the Interstate below. 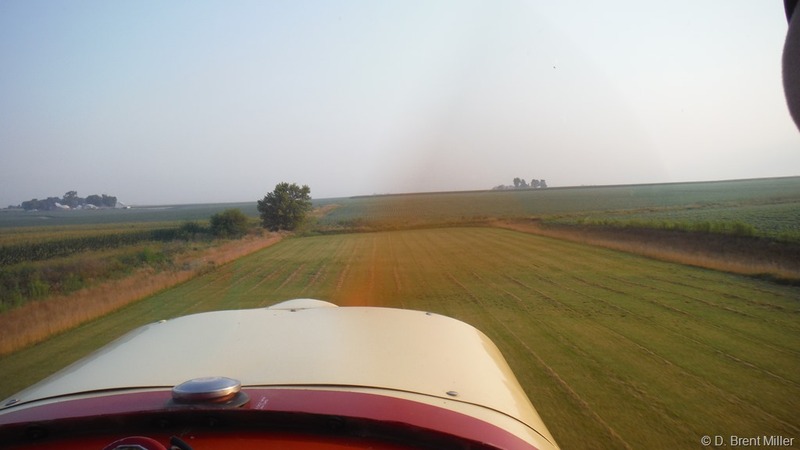 We head back home and land with the grace of a tail dragger airplane, the kind that is meant for grass runways. We roll up to the hangar, and he swings it around to make it easier to roll back to it’s parking place. That was fun. Very fun. But, damn you brother. I have been teased … mercilessly. The airplane is calling my name. Flying is beckoning like a siren call. I want to feel the controls again, to feel the surge of the airplane accelerating forward as I push the throttle in. I want to feel the emotion, the glee of lifting off the ground and seeing the world from a perspective that a few know. I want to putt around the Midwest visiting little airports with grass strips that host their big pancake and sausage breakfasts on the 2nd Saturday of the month for the benefit of the Lions-VFW-American Legion- Cancer Society-friends of the airport. I want to talk with other pilots about their exploits and adventures. I WANT TO GO FLYING AGAIN. Damn you, brother. See what you’ve done. I’m never going flying again. I feel like I am addicted and I just fell off the wagon. I am never going flying again …. Well, maybe at the family picnic in September. Just once or twice around the pattern. Okay? But … that’s it. Okay? See you on the highway … or maybe at the airport. 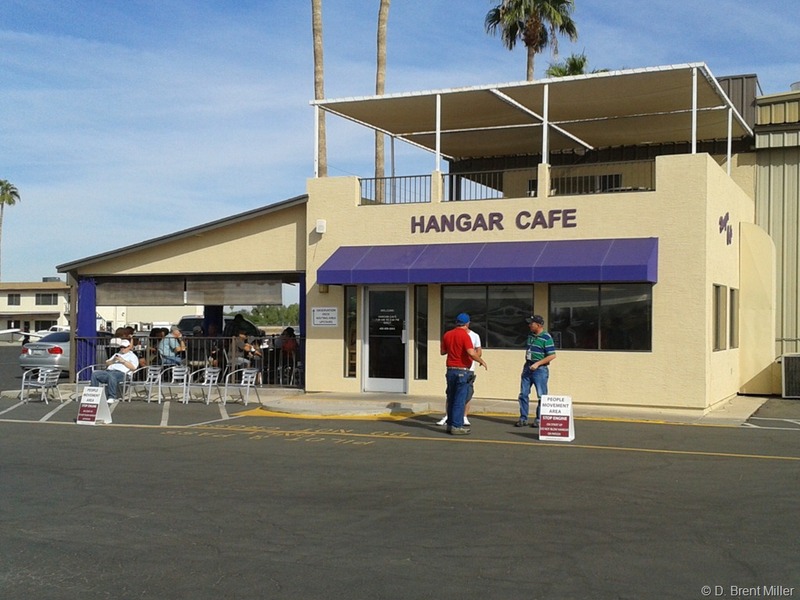 Whenever, I’m in the Phoenix area, I like to get at least one breakfast at the Hangar Café at the Chandler Airport. The food is great. The view is fantastic with all those airplanes tied down or taxiing by, and the planes taking off and landing. We landed a table on the patio in near perfect weather. Yes, it’s a destination I managed to take in on our last day in Phoenix. Our flight leaves from that bigger airport to the north in a few hours. It will be good to get back home and onto the motorcycle. Happy Father’s Day to all the dads out there, and all the children remembering their dads. Dad passed away in May 2001 after what seemed like an eternity of dealing with pulmonary fibrosis. During those last 18 months, I traveled to Arizona to see him as much as I could. There have been many times when I wished I could talk with him just one more time. He always had a way of counseling that left one feeling better about life’s paths. 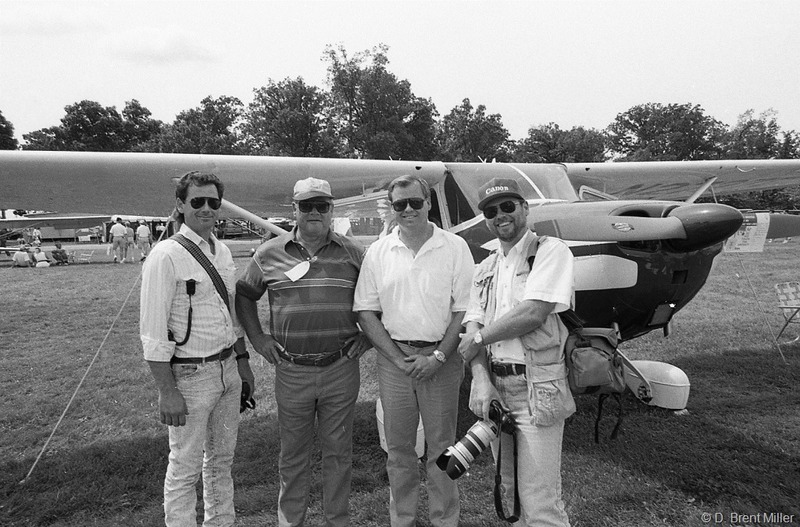 The Miller boys attend 1993 EAA Fly-in, Oshkosh, Wisc. (l-r) Barry, Bob, Brian and Brent Miller. When he was a kid, he would make model airplanes out of balsa wood and paper. One of Dad’s ambitions was to learn how to fly an airplane, to obtain a private pilot’s license. In his 40s, he accomplished that feat, but he never really did much flying afterwards. It was the goal that was reached—maybe one item on his bucket list—and that was good enough. In retirement, he became a member of the Commemorative Air Force, Arizona Squadron. He loved to take us over to the hangar and show us the museum and the airplanes–a B-17, a B-24 that he was helping to restore, a T-6. When we all visited for Mom and Dad’s 50th Anniversary, he took us boys over to the airport and bought us rides in that WWII, T-6 trainer. Dad was not the only member of the family to earn a pilot’s license. All three of us boys studied, practiced and earned pilot’s license. I was the first at age 20, receiving my private pilot’s license just three days before departing for a tour of duty in Vietnam. 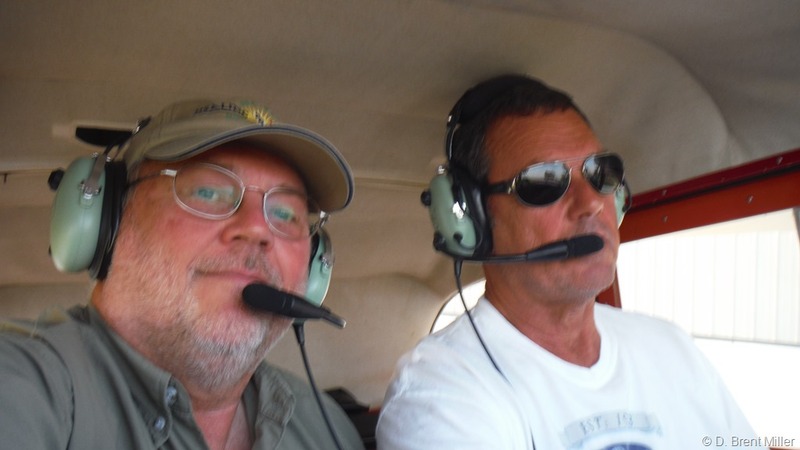 Barry, the youngest, was next and Brian earned his pilot’s license last. With four pilots in the family, it should not be a surprise that we might want to hang out at an airport or attend a flying show. 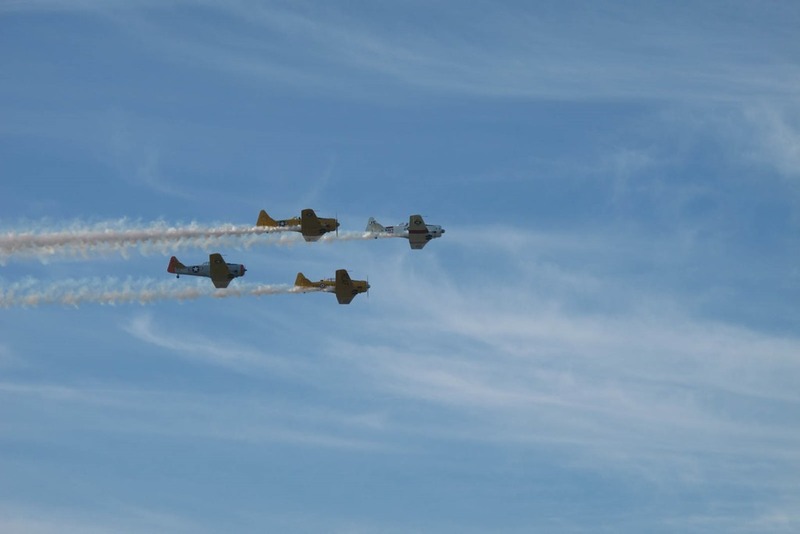 We’ve all been to the big airshow at Oshkosh, WI—the Experimental Aircraft Association annual fly-in, but we had never been there before—all four of us together. In 1993, we made that happen. We spent the day looking at airplanes and dreaming of loftier adventures. So, on this Father’s Day, I’m remembering Dad and how he was like a kid whenever he was around airplanes. I haven’t been flying for years, but I still look skyward when a plane flies over. I guess it’s the kid in me—just like Dad.